How do we know that physical spacetime in cosmology is smooth and 4-dimensional? Even though the description of the universe in cosmology is known to be given by a smooth 4-dimensional Lorentz manifold for energies below Planck scale, one still can ask about the origins of this phenomenon. In this paper we show that mathematics used for description of quantum systems at micro scale determines smoothness of spacetime at large cosmological scales and indicates the dimension 4 as the only possible dimension for spacetime. Ade, P.A.R., Aghanim, N., Arnaud, M., Ashdown, M., Aumont, J., Baccigalupi, C., Banday, A.J., Barreiro, R.B., Bartlett, J.G., Bartolo, N., et al., 2016. Planck 2015 results XIII. Cosmological parameters. Astron. Astrophys., A13, s. 594. Asselmeyer-Maluga, T., Bielas, K., Klimasara, P., Król, J., 2016. The latent meaning of forcing in quantum mechanics. Acta Phys. Pol. B, 47, s. 1685–1690. Asselmeyer-Maluga, T., Król, J., 2014. Inflation and topological phase transition driven by exotic smoothness. Adv. High Energy Phys., 2014, s. 867460. Asselmeyer-Maluga, T., Król, J., 2017. How to obtain a cosmological constant from small exotic R4. Physics of the Dark Universe, https://doi.org/10.1016/j.dark.2017.12.002. Bielas, K., Klimasara, P., Król, J., 2015. The structure of the real line in quantum mechanics and cosmology. Acta Phys. Pol. B, 46, s. 2375–2379. Ellis, G.F.R., Maartens, R., Maccallum, M.A.H., 2012. Relativistic cosmology. Cambridge, UK: Cambridge University Press. Klimasara, P., Król, J., 2015. Remarks on mathematical foundations of quantum mechanics. Acta Phys. Pol. B, 46, s. 1309. Król, J., Asselmeyer-Maluga, T.; Bielas, K.; Klimasara, P., 2017. From quantum to cosmological regime. The role of forcing and exotic 4-smoothness. Universe, 3 (2), s. 31. Takeuti, G., 1978. Two applications of logic to mathematics. Princeton, NJ: Princeton University Press. Weinberg, S., 1972. 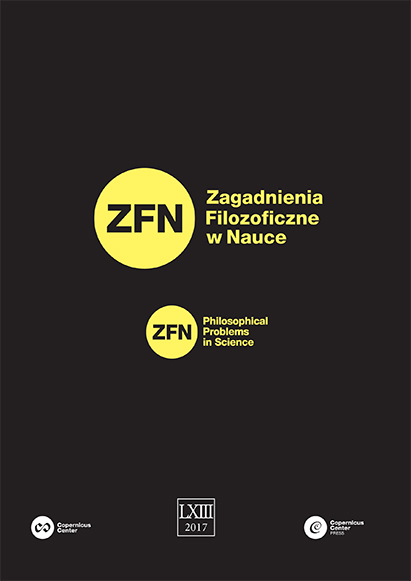 Gravitation and cosmology: Principles and applications of the general theory of relativity, New York: John Wiley and Sons.